Sobeys is vowing to step up its game online, announcing a deal on Monday that its CEO says will give it the best delivery service "on the planet". The Canadian supermarket operator is teaming up with Hatfield, U.K.-based Ocado to launch a new digital shopping platform. Under the agreement, Ocado will work exclusively with Sobeys on its web site, a new automated warehouse, and delivery management. 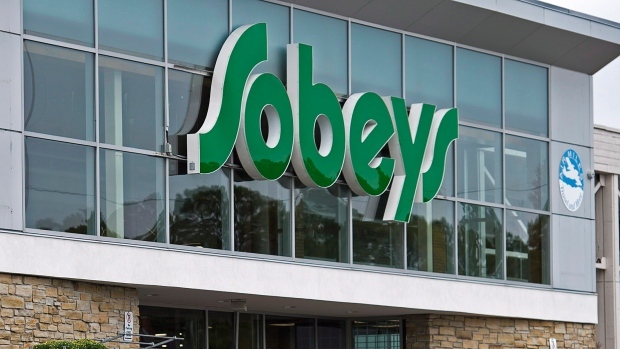 "Sobeys intends to play to win in Canadian online grocery shopping," Sobeys CEO Michael Medline said in a press release. "This unique and innovative Sobeys and Ocado experience will offer consumers the biggest selection, freshest products and most reliable delivery available anywhere on the planet." The entire Canadian food retail industry was put on its heels last June when Amazon announced its US$13.7-billion takeover of Whole Foods. Since then, Canadian incumbents have plotted their counterattacks. Notably, Loblaw announced a home delivery partnership with Instacart in December. Prior to Monday's announcement, Medline didn't hide from the online imperative. Speaking on a conference call on June 28, less than two weeks after Amazon announced the Whole Foods deal, he said there was "no way we're going to miss out on e-commerce." Ocado has helped drive online shopping in Britain, one of the world's most advanced ecommerce markets. The company has been to trying to sell its proprietary technology to international supermarkets in recent years. "The [North American online grocery] market is growing, there are a lot of buyers there, and we definitely see an opportunity," Ocado Chief Financial Officer Duncan Tatton-Brown told reporters, regarding potential future deals. Sobeys said the service will launch in the Greater Toronto Area in approximately two years, and might be expanded to other urban areas.